Car is a 1938 Cadillac Series 90 16-cylinder convertible. Harris & Ewing glass negative. 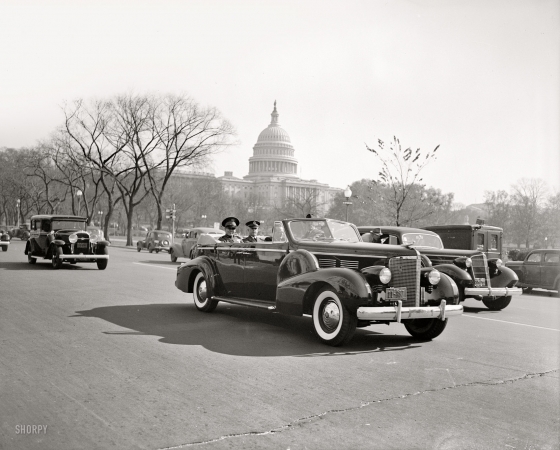 Cuban dictator Fulgencio Batista passing the U.S. Capitol Washington, D.C. November 10, 1938.